Dr. Howard Taylor (1862-1946) was the son of renowned missionary Hudson Taylor, the founder of the China Inland Mission. Dr. Taylor and his wife, Geraldine, took up the challenging but rewarding task of writing his famous fathers biography. 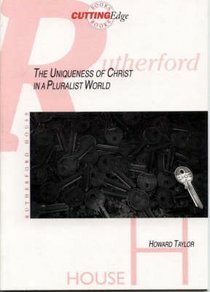 In the foreword to one of their books on Hudson Taylor, they wrote, The desire of the writers is to make available to busy people the experiences of their beloved fatherthankful for the blessing brought to their own lives by what he was, and what he found in God, no less than by his fruitful labours.